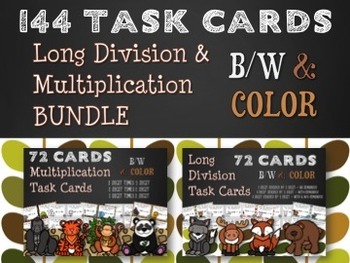 Long Division Task Cards comes with 72 different cards each with a different long division problem. The cards are organized into 3 sets of 24 cards. 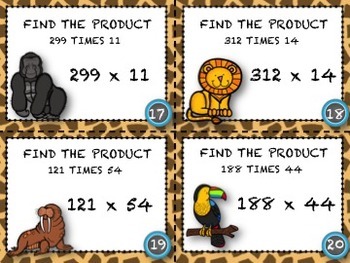 Set 1 (24 cards) - This set has 3 digit divided by 1 digit problems with no remainder. 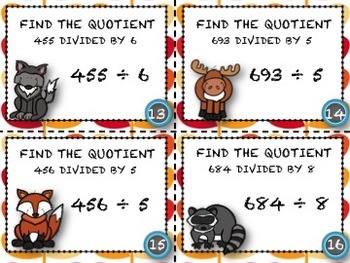 Set 2 (24 cards) - This set has 3 digit divided by 1 digit problems WITH remainders. Set 3 (24 cards) - This set has 3 digit divided by 2 digit problems with and without remainders. 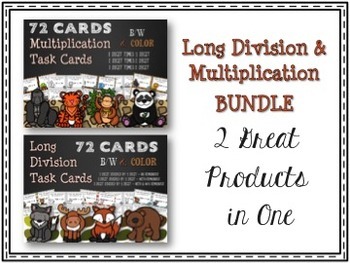 ***THIS PRODUCT CAN ALSO BE PURCHASED AT AN EVEN STEEPER DISCOUNT AS PART OF MY 5TH GRADE MATH EVERYTHING BUNDLE!!! YOU CAN FIND THAT BUNDLE HERE!